Max has been married to Tina for twenty-five years. She is the love of his life, but now he must come to terms with the fact that she is to spend a year away on a work assignment—away, for the first time, from their home, their children and their life together. Her absence leaves him feeling like an Odysseus in reverse: he stays put whilehis Penelope goes out into the world. Max, alone with his three teenage sons for the first time, is left contemplating life and the daily routine of the little bar of which he is the proprietor. As he spends more time with the regulars their problems begin to become his own. 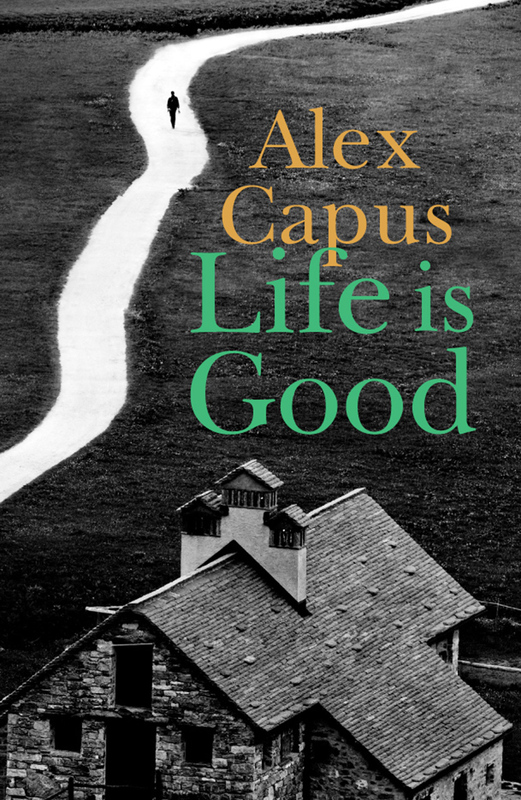 This new novel by Alex Capus is a hymn to trust, friendship and life’s small pleasures. Told with his trademark humor, Life is Good is a novel about finding contentment in rootedness as the world speeds up. "Life Is Good dwells in memory, the stories the narrator tells himself and friends about his marriage, childhood and the history of his hometown. Given the description one might assume the story is a bore, a navel-gazing look at the life of an established man. But Capus's writing is lively, and Max is just off-kilter enough to make hanging out with him interesting. Plus, at 200 pages, the book makes sure to not overstay its welcome. It's a perfect companion to a snoozy Sunday afternoon, lounging on that well-worn couch."